What is the Physics Plank? 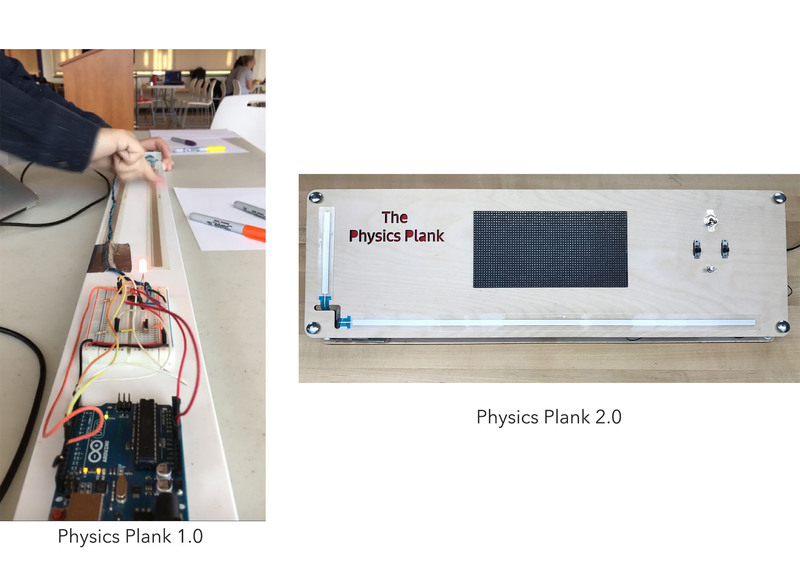 Aimed as a hands-on approach to learning, the Physics Plank is a classroom aid designed to help convey physics concepts to middle school students as a supplement to an existing curriculum. While an integral part of every STEM field, physics can be difficult to both learn and teach. This device is designed to reduce this difficulty. Directed at the Electromagnetic Spectrum, the Physics Plank illustrates both the direct relationship between energy and amplitude, as well as the indirect relationship between wavelength and frequency via the use of an RGB LED screen, ribbon sensors, and an ardunio. The Physics Plank software is written using C code and the hardware consists of LEDs, ribbon sensors, an ardunio, an additional breadboard and wires. The ardunio is then used to communicate between the software and the hardware, taking the user inputs from the device and converting them into dynamic feedback. 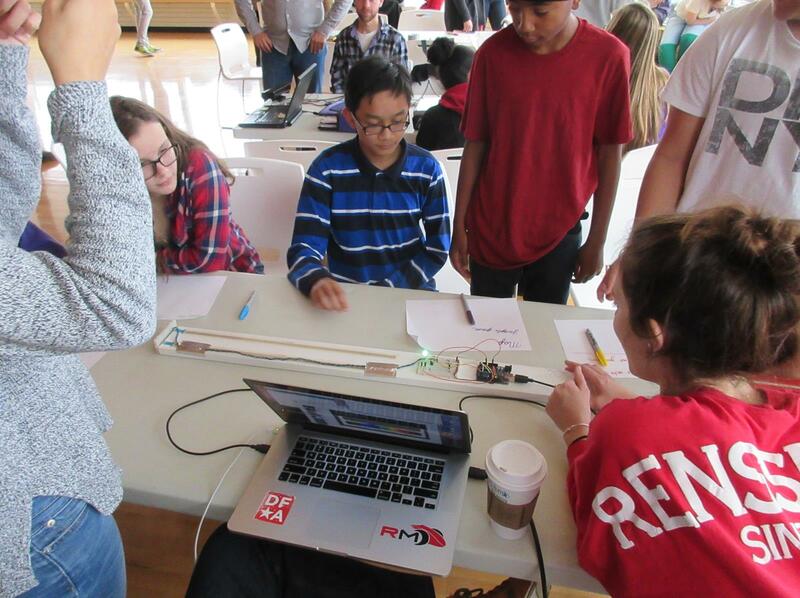 Our product will enhance student learning by breaking down difficult physics concepts and engaging students with a kinesthetic approach. Our projected user group are middle school and high school physics students. These students may have a hard time conceptualizing the curriculum and need a hands on approach to the abstract content. Stakeholders in the Physics Plank include the students, the teachers, and STEM outreach programs.